I created today’s recipe on a whim. It is a lighter version of what my mom use to make when I was growing up. The smell before it ever goes in the oven is enough to bring everyone running to the kitchen begging to know what you are making. This is a single serve recipe, but with ease you will be able to double, triple, or even quadruple the batch to meet your serving needs. 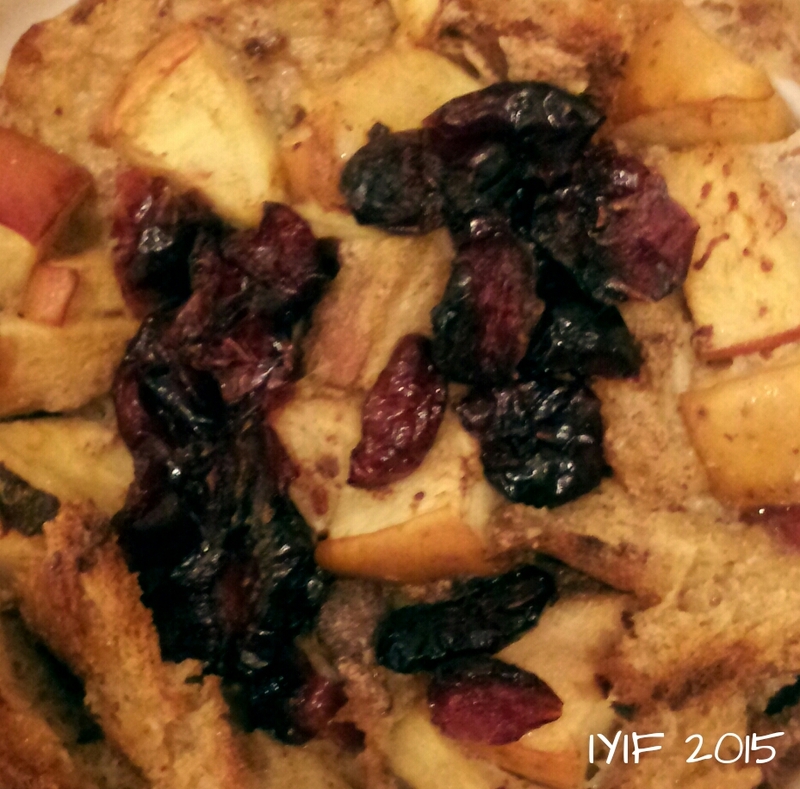 Let me throw a few ingredients at you, to weave a warm imaginary blanket of yum; vanilla, cinnamon, apples, craisins, butter, and vanilla almond milk. Can you smell that yet?! 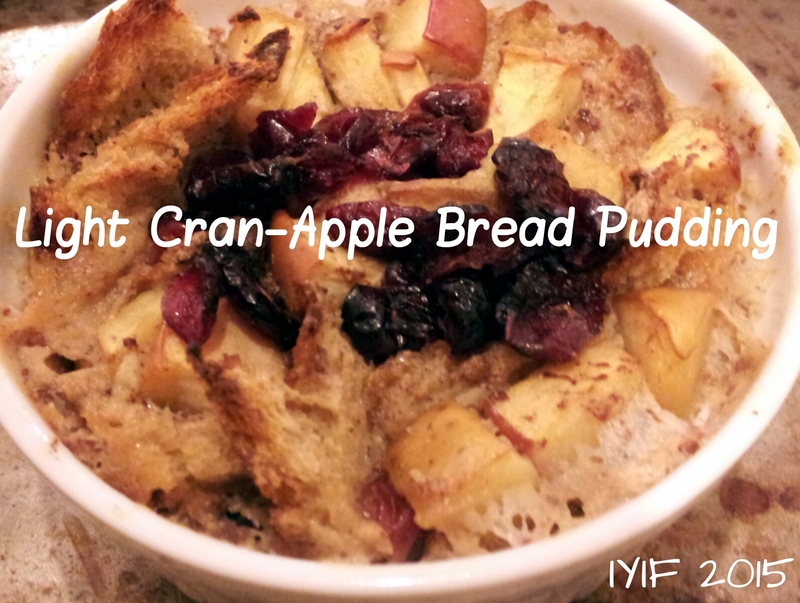 Today I give to you Light Cran-Apple Bread Pudding. And as I always promise, this recipe contains all of the flavor and memorable goodness of the original, but easier on the waist line. 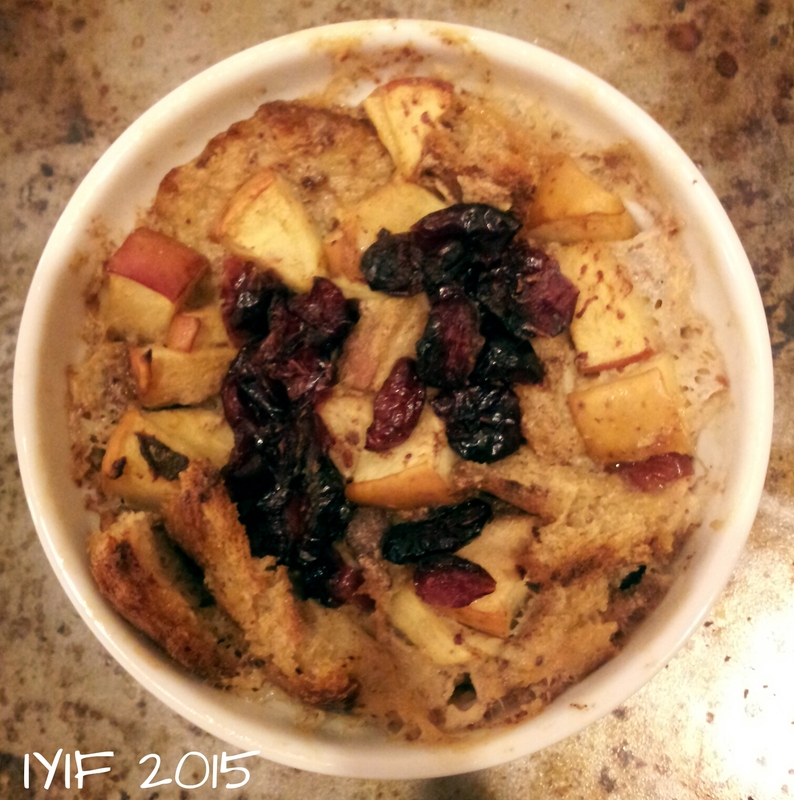 This bread pudding is so guilt free that you can eat it for breakfast, or dessert! You are probably wondering how all of that can be safe to eat, especially a whole 10 ounce ramekin! 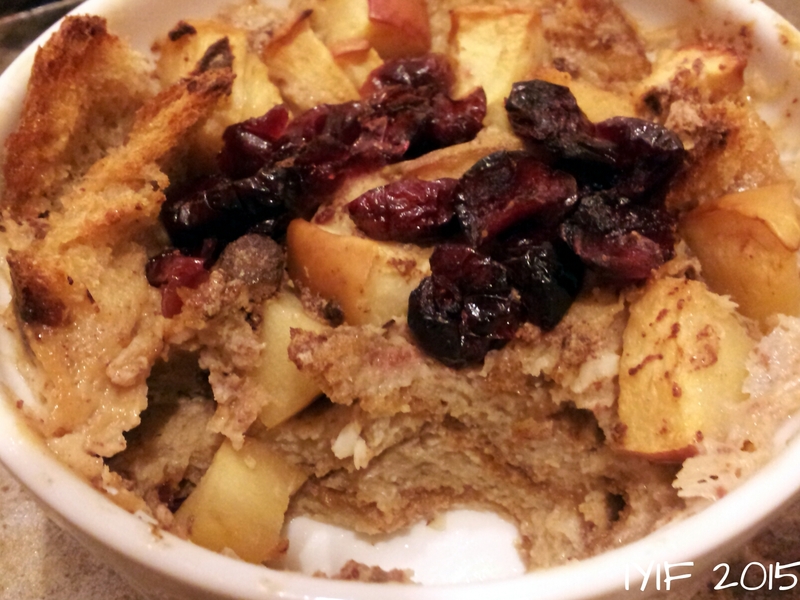 This dessert is refined sugar free with unsweetened vanilla almond milk, low carb sugar free bread, and Truvia; your sugar comes from the apples and low sugar cranberries. The fat content is reduced by using Light butter, egg whites, and again almond milk. And for those worried about carbs, the bread is low carb, and wheat, so the majority of your carbs are coming from the apples, and craisins, which leaves you with zero guilt, and a lot of pleasure! There aren’t any fancy instructions that need to be given in detail, this is an easy, quick, warming, throwback to the old desserts. Grab your favorite warm drink, tea, coffee, hot chocolate, or spiced cider would all work well with this dessert, sit back, relax, and ENJOY!